These adorable dresses were made out of pillowcases and matching fabric. Barb Juhnke from MN sent them to us for the girl's to enjoy. Getting new clothes happens twice a year. All of the Prepare the Way Ministry children come to the mission base in small groups. 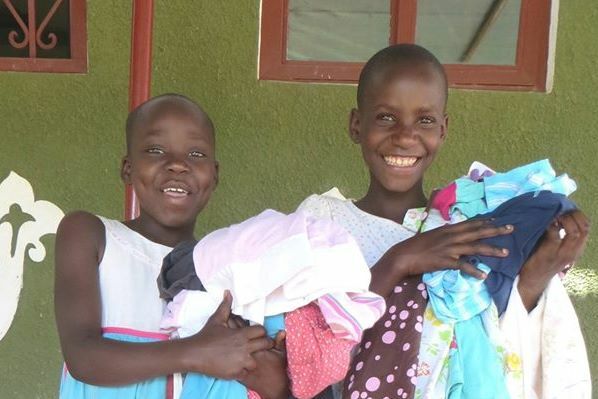 Our couple of our ladies chose clothes for each and every child. Another person records what each child received. We try to monitor the clothes, as we teach the kids how to care for their personal things.